This modern shotgun boasts clean lines, white walls and beautiful symmetry. Adding a significant amount of lushness to this back porch, we were able to create a space that serves as a relaxed, private escape. 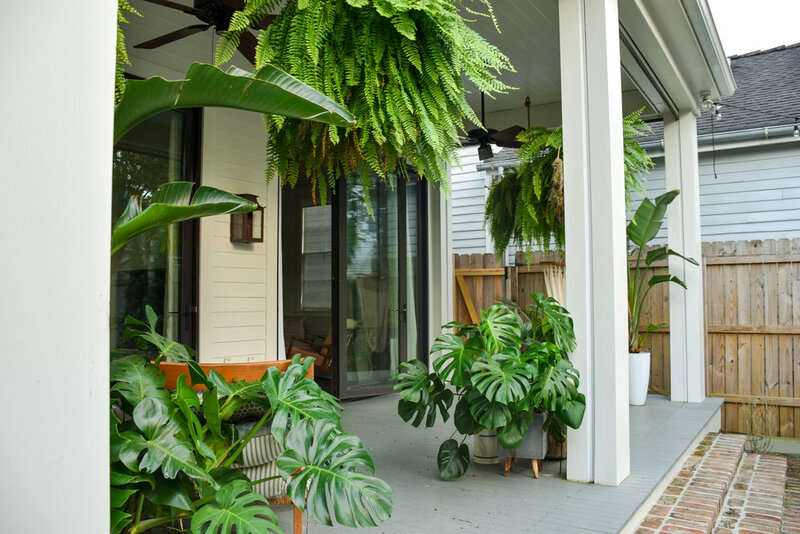 Massive ferns, birds of paradise, monsteras, palms...and of course, a hammock chair, transform this back porch into a tropical bungalow. Custom irrigation makes this oasis nearly maintenance free. 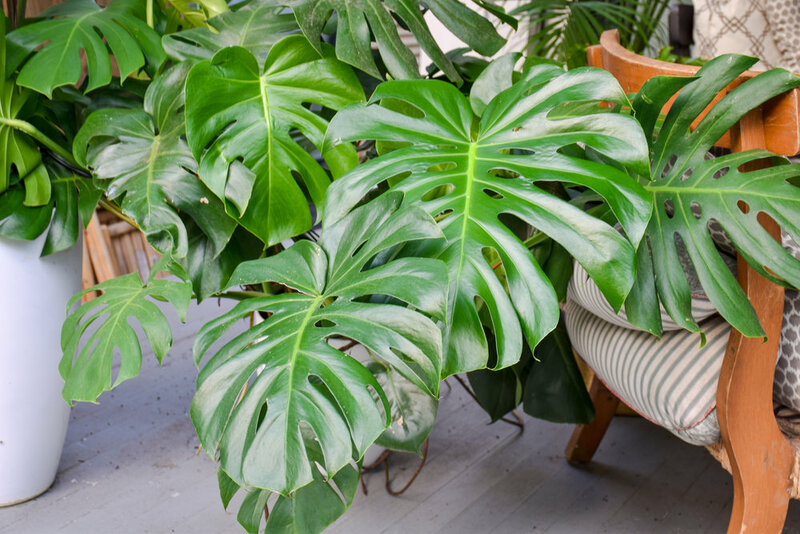 Favorite plant on site: The monsteras! How wild are they! ?